Two students at the University of Exeter have received an award for their conservation organisation Stand Up for Nature. Hannah Pollock and Jamie Unwin, final year BSc Zoology students at the Penryn Campus in Cornwall, were presented with the Scientific Exploration Society ‘Pioneer with Purpose’ award. Through Stand Up for Nature the duo share powerful conservation films using a bicycle-powered cinema, which was designed and created by Jamie, in a bid to raise awareness and celebrate the natural world. They recently toured the entire length of Malawi, reaching more than 14,000 people. Hannah and Jamie are now planning Project Kenya, in which they will find and film inspirational conservation stories from Kenyan people. They will then use the bicycle-powered cinema to share the message across the country. It is this expedition which saw the pair recognised as ‘Pioneers with Purpose’ by the Scientific Exploration Society. Hannah said: “We’ve been so overwhelmed by the amount of support Stand Up for Nature has received. “We do the work because we’re so passionate about it and want to make a difference. Through these awards, the Scientific Exploration Society seeks to celebrate high-quality and innovative explorations which focus on science, conservation, education and community aid projects, particularly in under-resourced environments. Hannah and Jamie won the Rivers Foundation Award for Health and Humanities, one of the seven ‘Pioneers with Purpose’ awards on offer, which included a £5000 donation, sponsored by the Rivers Foundation. 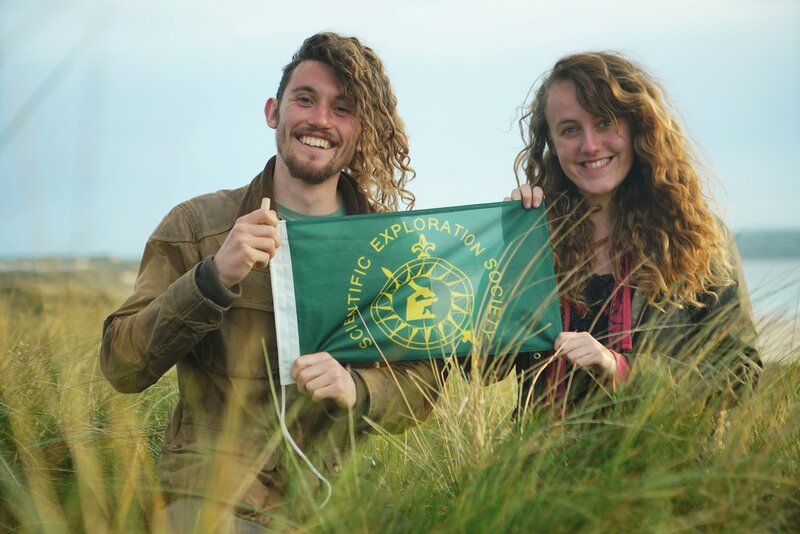 Sally Reid, of the Scientific Exploration Society, said: “Jamie and Hannah’s passion for their forthcoming expedition to Kenya stood out for us at the very onset. The SES Explorer Awards are all about supporting ‘Pioneers with Purpose’ and their plan to engage with the communities to meet the conservation elders who care deeply about wildlife and to share their beliefs is ground-breaking. To find out more about Stand Up for Nature and to donate to Project Kenya visit the website.